In the evening, after the tournament, the knights and their ladies would often feast. Properly dressed they would seat themselves on long tables where wine was poured aplenty and delicious platters served. Of course this was all performed according to the proper 15th century etiquette, values and recipes! 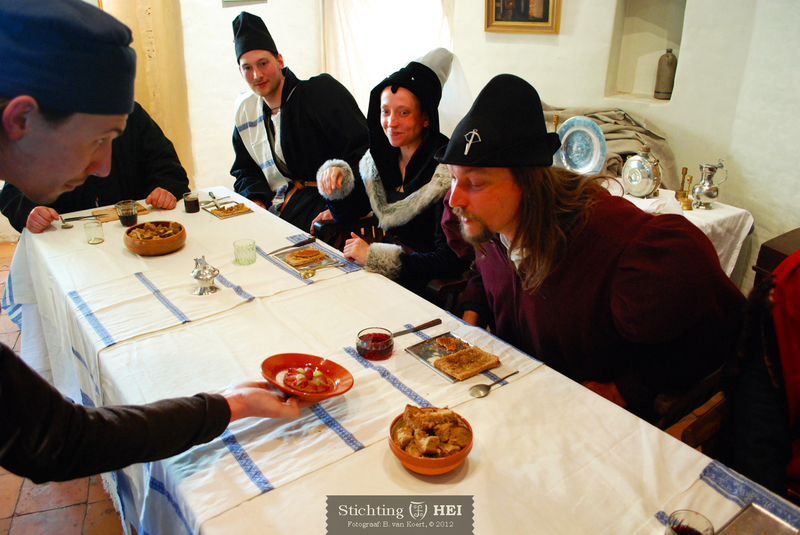 Learn about the 15th century sense of hygiene, society, etiquette and taste buds. Hire Foundation HEI for a demonstration of an excellent banquet.